If you’re over the age of 25 or so and engage in regular text messaging with people under the age of 25 or so, chances are you’ve spent some time with a nasty headache trying to figure out what those young folks are saying in their texts. They’ve invented a bizarre new language known as text speak that is all but incomprehensible to the uninitiated. British software developer DCML conducted a survey which concluded that 84 percent of parents have received text messages from their kids which they couldn’t decipher. That same software developer is coming to the rescue with an Android app called TextGenie. TextGenie is a translation app that runs alongside a user’s regular texting ap. 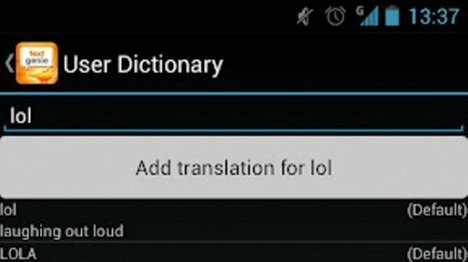 It comes with a dictionary of 1500 words and phrases pre-installed, with the ability to be added onto as users learn new acronyms and phrases. As text messages come in, TextGenie translates them into plain English so you can understand every word. Of course, if you really wanted to look cool to the younger crowd you’d have to get another app to translate your plain English texts into text speak when you send them – but that’s an app that hasn’t been invented yet. 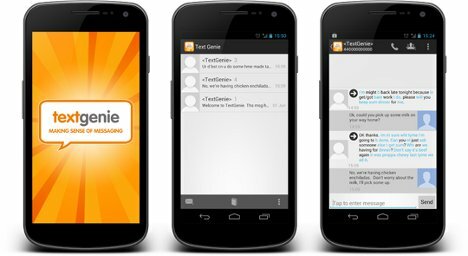 You can download TextGenie for £0.89 (about $1.40 US).